As you are all well aware by now, our A320-X is available for Prepar3D V4, we’re working on the A320-X SP1 release for FSX and Prepar3D v3 and the rest of the A32X fleet is in the pipeline to be released in the coming months. We had promised that when that time came, we would take a closer look to the possibility of creating a new Concorde title, specifically designed for Prepar3D v4. Our existing Concorde-X title, developed in 2008 and released in 2010 was a huge success: It brought the thrill and excitement of Concorde to a desktop simulation and even today, almost 15 years after the last Concorde flight, the interest in Concorde remains very clear. Our Flight Sim Labs developer team feels there might still exist one more opportunity to see this aircraft take to the virtual skies in Prepar3D v4 – with the resources we have been acquiring since the days of the Altitude Concorde for FS9 back in 2002 up to today, we believe we are the single company uniquely fitted to undertake this quite significant task one last time, on the most recent flight simulation platform: Prepar3D v4. True Dynamic Lighting – a system developed for the A32X Series that varies the intensity of the light depending on environmental conditions and time of day (or night). The purpose of this post is to gauge how much interest there would be in a new Concorde title for Prepar3D v4, as we estimate the price of this new version to be around $100 USD. Add your full name and age, telling us that that you will support this effort. We reiterate: This project cannot and will not happen without your help. This is possibly the last time a Concorde will ever be developed at this fidelity level and caliber for any simulator platform – if you wish to keep the dream alive, tell us! 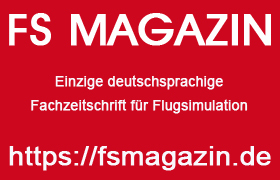 As always, thank you very much for your continued support in Flight Sim Labs!